At times it’s a struggle to keep up with modern Middle Class DOs: smile at minorities; encourage your daughter to date one, not just for the inclusivity points but she’ll “get it out of her system”; moderate your voice even when speaking to people who voted Brexit; confidently bypass the Quinoa and Kale sections in Waitrose because you’re ahead of the curve and on to Cassava; counter bigotry by bravely using the awkward silence or the slight nod and a “I hear what you’re saying,”– convince yourself this has nothing to do with saving a claim on your BUPA insurance from getting into a fight but because you’re passionate about free speech; oh and remember to follow a handful of right and left wing nutters with deplorable views on Twitter to keep your ‘bubble’ in check. Virtue has its benefits; which has long been the argument against the possibility of true altruism – but does that mean you shouldn’t try? To practitioners of the art of MiddleClassdom, it’s all just riffing on good old-fashioned Anglican-style pragmatic tolerance. 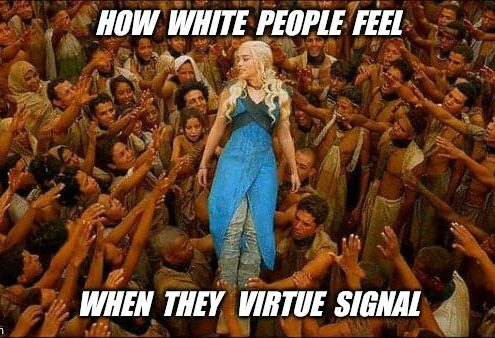 But the Right call it “virtue signalling,” (as if virtue becomes a vice when it’s shown) the Left call it “bourgeois” (which in itself, using the French, seems tres bourgeois), while both see it as self-satisfied dissembling that perpetuates neoliberal elitism and economic inequality. In other words, they hate it. One thing being Middle Class will have, up until now, excluded you from, is demoes, political rallies or protest marches. Why? Because being Middle Class also places you, give or take a little wriggle left or right, bang in a centrist political milieu which is ever the resting ground between the swings. Political isms come and go but in the end there’s always pragmatism waiting patiently to bury them. So who goes on demoes to support the orthodoxy? Aren’t they just a catharsis for the marginalised? A few protest rallies through history have become the tinderboxes for revolutions, but most of the time the officials in power barely twitch their curtains to gaze out at the rabble shouting slogans at the walls. The protest can be ignored because it’s not the ballot box. That’s where the sensible Middle Class lodge their displeasure before turning on the Archers on Radio 4. Corbyn’s Momentum movement takes pride in its ability to assemble a horde whenever their leader is challenged. Right-wing activists are no less capable. 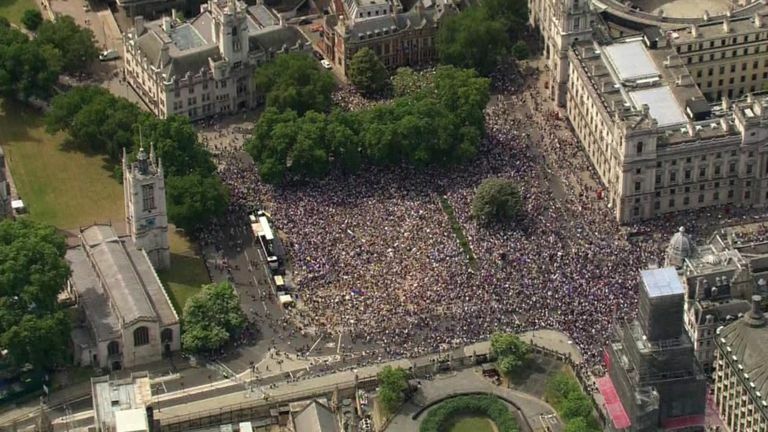 Within hours of the Islam-antagonistic, English Defence League founder, Tommy Robinson being arrested a couple of weeks ago, a vast crowd of right wing protestors had mobilised and blocked Whitehall. They knew the ropes, they knew what would get noticed, they knew how to push the media’s buttons. Of course that didn’t stop Robinson getting a 13 month sentence, handed down by one of the Daily Mail’s “Enemies of the People,” AKA a judge. 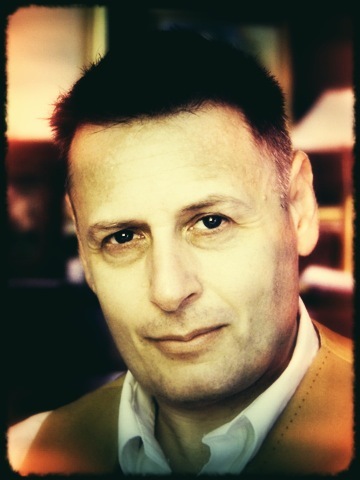 Even so, by then his supporters, as marginal as they might appear, had marshalled the internet to create an international pressure group with Change.org, hosting a petition to free Robinson, scoring half a million votes within days. Protest today is a 21st Century fusion of high tech crowd sourcing and good old-fashioned boots – hob-nailed or steel toe-capped – on the ground. Pity then the poor moderate centrists who have no experience, or history, of protest; they’ve never had a reason to raise a mob, to march or storm the gates. But with Brextremists both in power and in opposition, centrists are realising that they need to learn. Fast. They have already been marginalised to such an extent the cool young left feel justified coining the shame name: “Centrist Dad”. Which means if you still believe in a middle ground, reasonable compromise or liberal values you’re basically old, in line for a hip replacement (and they know about hip) and way behind the times. You probably remember D:Ream’s Things Can Only Get Better and the Blair ‘third way’ with nostalgia; basically YOU, you moderate, you Middle Class, middle of the road, middle muddler, with your university degree and holidays abroad, you are the minority now… you just haven’t realised it yet. And they’re not entirely wrong. The middle class meme is a late comer to human evolution, only really gathering strength in the 14th century, born out of the Black Death. With the sudden shortage of workers, peasant plague survivors began to take control of the economy, the feudal barons and kings could only watch as a merchant class emerged and prospered. Capitalism nurtured an ever-expanding band of people who neither worked the land nor entirely owned it. By 2011 71% of the country defined themselves as Middle Class. But in the last seven years, Austerity has taken its toll. Yesterday’s aspiring are, today, perspiring again, dragged back into working, or benefits, class survival. The “squeezed middle” has got ever tinier as the belt has inexorably tightened. 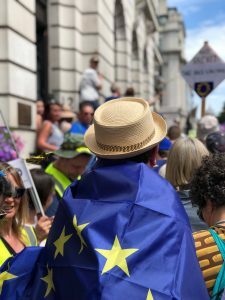 June 23rd 2018 saw a March for a ‘People’s Vote’, 100,000 people or more requesting a referendum on the final Brexit deal. Even the demand was pathetically reasonable: not a demand to stay in the EU, no full capitulation of a failing Brexit-frozen government, just a jolly practical, inclusive, ‘People’s Vote’ on whether the Brexit terms are actually a good idea or not. Veteran protestors from left to right, from Animal Rights activists to Poll Tax rioters, could only sit back and laugh into their balaclavas as these finally fired up, finally spurred, finally angry, moderate liberal (small L) centrist nouveau protestors, with only the sketchiest idea of how it’s done, marched on Parliament. How does one find one’s way from the prosciutto counter at Waitrose to the frontline of a mass protest? Do the Molotov cocktails require Maraschino Cherries? Is one’s Smythson A2 card rigid enough for a placard? We’ve come a long way for people to have to protest for some common sense, some moderation, some centrist middle of the road rationality. But finally we’re starting to make our voice heard – at a moderate volume of course.